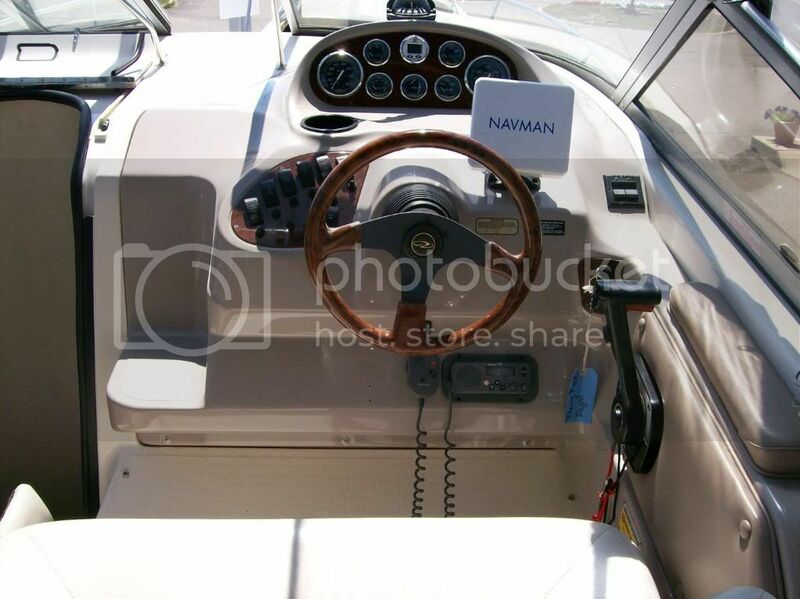 I am trying to get behind the steering wheel area(2000 2460) to install a auto trim tab sys. Has anyone opened up this area and explain to me how that worked? If you need to access the area or electronics/wiring behind the steering wheel, do so by opening up the switch panel is a great way for access. Also, installing a Auto Trim Tab (AC3000) was a easy/great install. The screws around the perimeter of the gauge cluster hold it in place. Ditto the switch panel. Ditto the trim tab switch. There is plenty of room back there, but not a lot of extra wire. There is enough to get it out of the way. They did a far better job than most in that arena. I looked at that setup. Before you tear into the dash, check the placement parameters. When I looked at this 5 years ago, the recommended location was as close to midships as possible which would put it somewhere in the aft cabin. A lot has changed in microchip technology in 5 years though. Maybe Tabman will chime in. BTW, depending on your engine and that Navman unit, you may be able to get diagnostic information from the engine sent to that screen. Call Regal, quick check on the schematic and they will know. Usually panel under comes off or the whole dashboard unscrews. Most boats usually the dashboard unscrews. I have purchased a auto trim tab system, it is a gryoscope. It plugs into the existing Bennett trim tab switches allowing me to have it auto balance the boat while on-plane. I figured that the best place to install the box was close to where the trim switches are, and in my case behind the steering wheel area. I used to own a 2001 246X. What exactly are you trying to put where?